Mild seas, but a bit of early drizzle, met birders on The Bird Guide, Inc.'s final trip of the year. 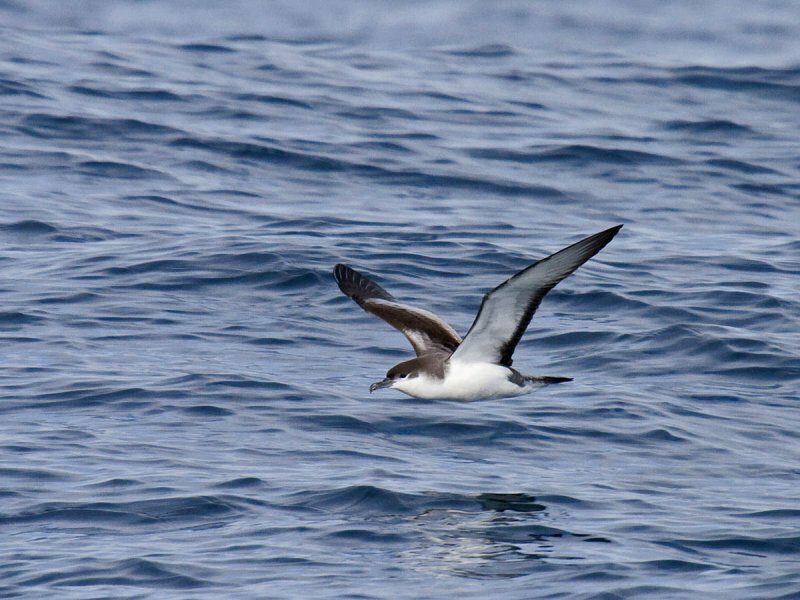 Highlights included two LAYSAN ALBATROSSES and over 130 BLACK-FOOTED ALBATROSSES--always a crowd-pleaser! 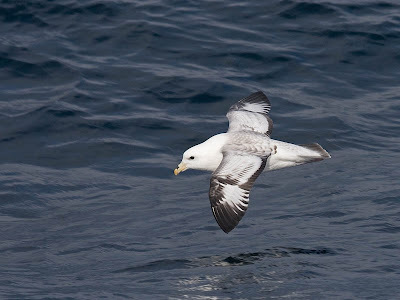 A kaleidoscope of NORTHERN FULMAR plumages was present among over 600 birds, including several light phase birds. A couple NORTHERN FUR SEALS presented their classic "jug handle" pose--holding their extremely long hind flippers in their front paws, and looking something like a flower watering jug. Full trip report is here, including Wayne Hoffman's diving BLUE WHALE photo. Plan your next trip to see Oregon seabirds. 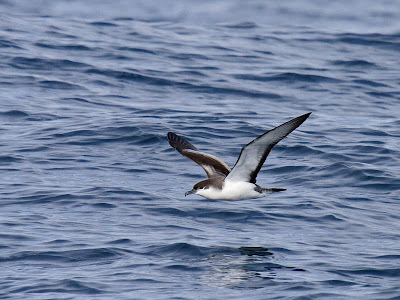 Highlights from the 10-hour trip off Newport to the canyon between Heceta and Perpetua Bank included nearly 100 BLACK-FOOTED ALBATROSSES and over 300 NORTHERN FULMARS. 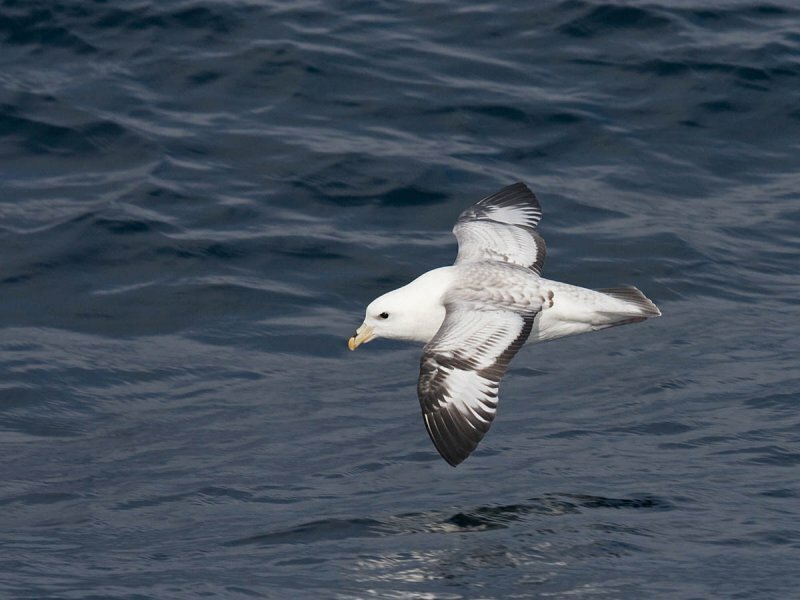 FORK-TAILED STORM-PETRELS are always a treat--and we saw over 30. We were able to compare field marks of RED and RED-NECKED PHALAROPES. POMARINE JAEGERS were common, with over a dozen seen. Two SOUTH POLAR SKUAS made passes near the boat. The rarest bird was a vagrant male BLACK-THROATED BLUE WARBLER about 20 miles to sea that followed our boat for a minute or two allowing decent photos! Trip results are here, including a photo of the rare warbler by Jesse Hampton. My photos from this trip.